(March 11-15, 2019) – Halifax City Ukulele Beginner and Intermediate Bootcamp! Halifax City Ukulele was jam packed with new members (we just broke 100!) and four extra sessions this week during my March Break 🙂 Monday, Tuesday, and Thursday focused on introducing “absolute beginners” to the ukulele and running through the first few lessons of James Hill’s phenomenal “Booster Uke” method book. We brought it all home late in the week with a St. Paddy’s Day fun-pack of tunes including “Dirty Old Town,” “Drunken Sailor,” and more! Wednesday’s Bootcamp session invited our intermediate members to try their hands at chord/melody work, “mandolin chords” above the 3rd fret, suspended chords, and accents/slides. I’ve always felt a very strong connection to James’ “mandolin chords,” and this was my first time teaching people how to play them in depth. I think the key to success was providing multiple avenues of engagement for students including visuals (labeled photos of the chords projected on a screen), tablature, modeling, demos, and the ‘diminishing repetitions’ method. Here, we also used photos and tab to enhance comprehension. We concluded the night with a few tougher “fun-strum” songs, where we put our new mandolin chords and diminished chords to use – the intermediate session was the most packed with material we’ve done yet, and it was exhaustingly fun! To cap off the week, we headed up to the studio on Friday evening for a social night that featured a screening of the pivotal “Mighty Uke” documentary. The film features James Hill and Anne Janelle, Lil’ Rev, John King, The Langley Ukulele Ensemble, and all of the greats as they paved the way into the new ukulele revolution! As always, we all owe a huge debt of gratitude to Liam Hennessey at the Applehead Photography Studio for providing us with the absolute perfect venue for learning and sharing our musical community! (February 9, 2019) – Halifax City Ukulele Guest Leader Sandra Aylward shows us how it’s done! This week’s Halifax City Ukulele session down at the Applehead Studio brought together our biggest gang yet, and featured the delightful Sandra Aylward up front to take the reins for two tunes, “King of the Road, ” and “Eight Days A Week.” It’s been so much fun spicing up our evenings with a variety of musicians and local group leaders at the helm, who have all offered fresh insights and interpretations of favorite uke tunes and techniques. Sandra guided us through some new strumming patterns with the songs that pushed us further than the usual “island strum.” She also navigated us through some tricky vocal lines, and even invited her friend Denise Pelrine to solo out the intro to the classic Beatles jam before we stomped it home. I can’t wait to see what the next sessions have in store. (January 13, 2019) – The Marigold Ukulele Festival in Truro, NS and Halifax City Ukulele guest leadership! A hearty helping of first-rate teaching, quality musicianship, and down-home maritime charm were on the menu during this freezing, snowy weekend in Truro, Nova Scotia. Angela Dwyer opened the doors of her lovely Marigold Cultural Center for the day, hosting some of the best teachers and players around the Canadian ukulele community (or anywhere, for that matter!) After a chipper morning introduction from the legendary Chalmers Doane, where he reminded us all why we fell in love with “the little instrument that could” and traded licks onstage with his star student James Hill, the day featured three workshops that would broaden and refine any uke player’s horizons. First, PEI luthier Heidi Litke of Red Sands Ukuleles outlined the basics on building instruments and informed us on the intricacies of how different strings and woods will affect sound projection, tone, and action. Second, Cynthia Kinnunen‘s session had the group bopping along to a colorful variety of strumming patterns, revealing how much more there is out there for new players than just the standard island strum. Finally, James Hill illuminated the power and secrets of his signature solo playing that combines melody and harmony, tricking the ear into hearing two ukes in one. We all returned in the evening to what felt like a private concert. The event opened up with Cynthia Kinnunen’s vocal finesse and jazzy uke stylings. She was followed by the powerhouse combination of James and his stunning partner Anne Janelle. Their approachable and often hilarious “friends-next-door” stage banter, jaw-dropping talent, and unmistakeable love for each other as they stared into each other’s eyes on stage as they performed was an experience well-worthy of the standing ovation they received. We all had a lovely time strumming along and sharing stories and laughs. Hoping to see this trend continue in the new year, since our group is luckily chock full of talented musicians, teachers, and friends! The festival was also a great opportunity to spread the word about our group, so we might see some more new faces on the 23rd! (December 8, 2018) Halifax City Ukulele is born! I have been so lucky since moving to Halifax in September. After searching around for venues and interested parties, we have finally launched a brand new adult gang smack in the middle of downtown. The amazing Liam has offered up his svelte photography studio for us to play, overlooking the wintery bustle of Barrington Street. We are learning using a combination of Ukulele in the Classroom and Booster Uke, mixing chording skills with ensemble playing and sight reading. For the last leg of the evening, we break into a specially compiled ’70s – ’90s songbook and jam it out 🙂 Participants have varied from absolute beginners and first timers to seasoned players who learned under Chalmers Doane himself. I’ve even seen a few of those rare, “Northern” ukes he designed. Right now we are getting geared up for our holiday session and warming up our voices for some serious cheer, ukulele-style! Come check out a session if you are ever in the area, or have a look at our group Facebook page! (November 24, 2018) JHUI Virtual Recital and Ukulele in the Classroom publication and site! 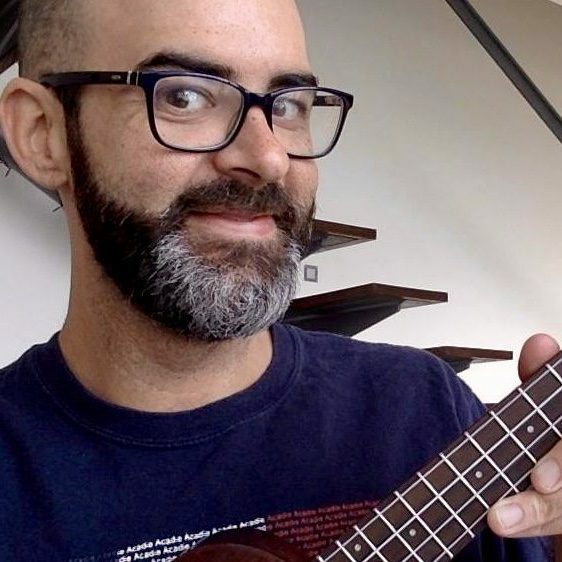 On the weekend of November 24, James Hill and his teaching team invited players from all over the world to perform their favorite Ukulele Way arrangements online! There were so many incredible pieces posted that showcased the hours of work this community dedicates to their favorite little instrument. James even posted his own entry 🙂 Here is my own arrangement of “To See Swainson” from Book 6. Apparently it has a punk-rock feel? Also do check out all of the other awesome entries on the YouTube list. What a fun way to celebrate ukulele culture! Ukulele in the Classroom – New Website Launched! I’m also really excited to share the brand new Ukulele in the Classroom interactive website! It includes a snazzy forum for teachers to share ideas, a cool teacher introduction page, a free and comprehensive Starter Kit, and tons and tons of free resources to launch your ukulele program today! I was thrilled to have been published under the “instrument care” section in the Starter Kit 🙂 Thanks UIC team!! (November 9, 2018) Friday Afternoon PD session with Ukulele in the Classroom and Booster Uke at The Halifax Grammar School! I am enthralled to have been welcomed into the HGS school community and to have been invited to teach an hour-long session to our wonderful faculty! Today the nine of us took a tour through the world of the ukulele, revisiting the past for some, and sparking fresh interest in a new musical adventure for others! We began the day by watching the trailer for “Mighty Uke,” where lots of history and many familiar musical faces of the east coast are showcased. Afterward, we dove into the “chord twins” from James’ lovely Booster Uke text, reviewed the “island strum,” and even tried our hands at a few holiday favorites. I was ecstatic to hear stories and experiences from Chalmers Doane’s musical legacy, as a few present were lucky enough to be taught by him in years past. Uke on! (September 14, 2018) Podcast interview on “Tap, Flick” technique with Abe Deshotel! What a privilege to have had the chance to chat with performer and teacher Abe Deshotel on his monthly podcast! Check it out here and please subscribe! During the interview, I talk about the roots of the technique and demonstrate how it is played. I also outline my travels abroad and reminisce about old friends, bands, and adventures in music as well as hopes and dreams for the future here in Halifax, Nova Scotia. (August 7-9, 2018) James Hill Ukulele Initiative 2018 in Toronto and JHUI Masterclass! Earlier this month, I made my annual pilgrimage home to Humber College in Ontario and happily received my official Level 1 certificate and badge from James himself! I also presented on my “Tap, Flick” technique during his first ever full-day “Masterclass.” This was a rare opportunity for JHUI teachers to showcase our original applications/interpretations of the “Ukulele in the Classroom” curriculum to James and his teaching team for smiles, fun, professional development, and feedback. I was even lucky enough to be interviewed by ukulele teacher, performer, and recording artist Abe Deshotel for his monthly podcast. Here, I outlined my childhood, international musical teaching experiences, and new transition into ukulele culture. Check it out soon by accessing his website in the link! The three-day event also featured lessons in absolutely priceless classical, contemporary, jazz, and big band/ensemble arrangements from the curriculum and beyond, an evening dinner/jam session (great song picks came out of the woodwork here, including tunes by The Ramones, The Tragically Hip, War, Modern English, and more), and pivotal pedagogical/business discussions and tips from James and his incredible musical family: Guelph-based festival organizer and proclaimed “Ukulele Queen” Cynthia Kinnunen, east coast Doane D6 tuning method master and cultural promoter Angela Dwyer, and a wealth of incredible colleagues and players from places as distant as Texas, Brazil, and Dubai. We even squeezed in a promotional photo for Ohana Ukuleles! It was an absolutely nourishing safari in every way, and I can’t wait to dive into my new life Halifax this fall with a full head of steam! So proud of these new 2nd Grade musicians as they showcased some classic pieces in the sunshine this weekend to kick off ASFM’s Spring symposium. On Friday, May 11, the 2nd Grade ensemble was split into two groups of 40 students to perform in the brand new ASFM open-air amphitheater. On Saturday the 12th, the full 3rd Grade ensemble of 45 students brought huge energy to their performance in the school cafeteria! (Feb. 17, 2018) Bryan LaPlante and Macaulley Whitlock Present “Bringing it Back to Our Roots: Sing, Say, Dance, Play!” at Live Curious, Go Beyond, ASFM’s Annual Tech and Innovation Conference in Monterrey! It was an honour to be invited to kick off the second day of this hip, state-of-the-art conference for educators from around Latin America and beyond! Our goal was to awaken and unite all attendees as a community of colleagues through meditation, song, and dance before breaking out into smaller PD sessions for the day. We began by adding Macaulley’s beautiful cello work to a performance of Daniel Ward‘s soothing piece “Floating Loop” from his book, Arpeggio Meditations for Ukulele. We then got the crowd out of their seats and added Djambe and African beats to Musical Futures’ group canon, “Throw and Catch.” We rounded out the session with some rowdy, old-time banjolele and their “Louisiana Mud-slap” body percussion arranged into the traditional American folk tune “Alabama Gal.” For more video, check out my Twitter page! We truly enjoyed ourselves and each other, and learned so much from keynote speakers and presenters throughout the two-day event. I am incredibly proud of all ukulele students in this year’s ASFM instrumental music program and adult “Ukulele for Teachers” ensemble. They showed us their very best as we closed out 2017 in style down here in Monterrey! Take a look through the media below to see all we have accomplished! ASFM Second Grade Parent Invitational Concert Series: “Safari” (James Hill) with “Tap, Tap, Flick” method.